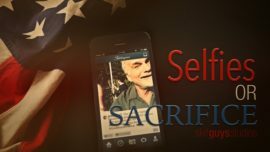 Help remember those who gave their lives and the lives they left behind during your worship service with one of these Memorial Day videos. Those serving in our armed forces deserve honor and recognition. 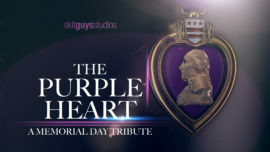 The Purple Heart is given to those who are injured in the line of duty and also, those who pay the ultimate price – their lives. 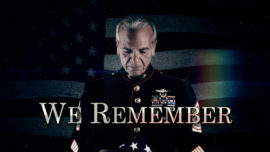 This video is a great way to honor the service men and women who have died while serving our country. 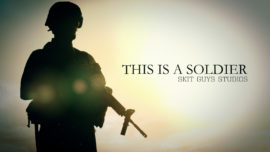 Featuring a powerful rendition of Amazing Grace, the message and images in this video remind us of the amazing sacrifice given to protect our freedom. This Memorial Day or Independence Day (July 4th), remember those who have paid the ultimate price so that we can live free. Memorial Day or Independence Day (July 4th) are wonderful times to use this mini-movie to complement your worship service. Pay honor and respect to the veterans who have given so much. 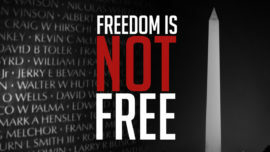 Their sacrifice reminds us that freedom is not free. As the church we are called to mourn with those who mourn. This memorial day we remember the soldiers who have fallen in service to our country. Memorial Day is a day of remembrance. As a nation we are called to reflect on the ultimate sacrifice that we ask of our men and women serving in uniform. 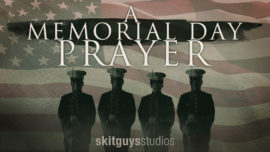 In this tribute to those who have fallen in service, we’re called to remember that each one served on our behalf and each one is connected to us. A father reminisces a trip to Washington D.C. where his son learned the cost of freedom. 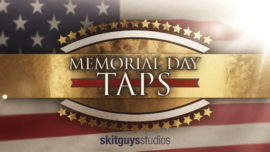 Set to Taps, this video helps us reflect on the service men and women who paid the ultimate price for our freedom. To commemorate Memorial Day, honor those who have given their lives, and the loved ones left behind, with this beautiful prayer.